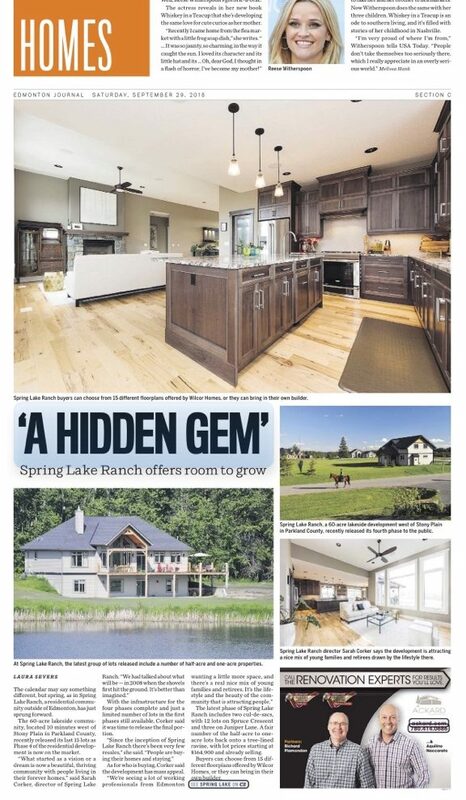 We’re excited to share the Edmonton Journal’s recent feature article on Spring Lake Ranch! 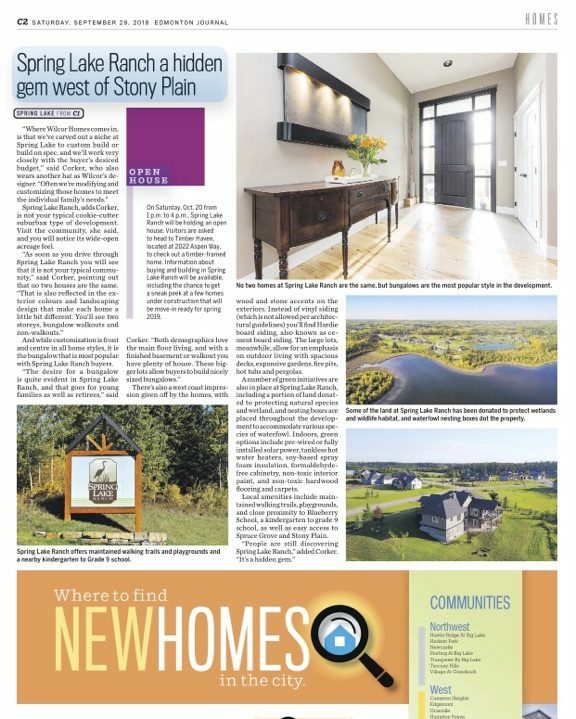 “The calendar may say something different but spring, as in Spring Lake Ranch, a residential community outside of Edmonton, has just sprung forward. The 60-acre lakeside community, located 10 minutes west of Stony Plain in Parkland County, recently released its last 15 lots as Phase 4 of the residential development is now on the market. It shares details about Phase 4, Wilcor Homes, our upcoming Open House (Saturday, Oct.20th) and more.